Rotas produces high end bicycle rims. 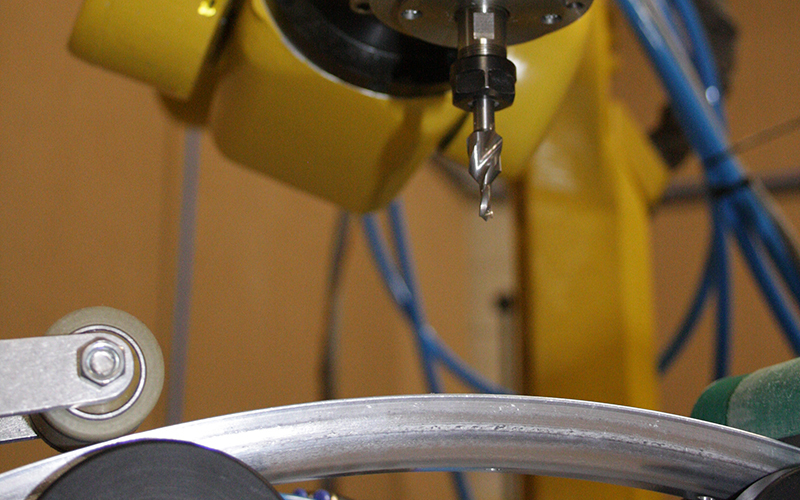 WoWt designed and produced a drilling machine based on an industrial robot arm to drill spoke holes in bike rims. The machine is designed with flexibility rather than production speed in mind, to allow if desired for the production of single sets with specific spoke patterns requested by wheel builer craftsmen.